The first business Bill Gates and Paul Allen started failed. Walt Disney was fired by a newspaper editor because he “lacked imagination.” J.K. Rowling was a single mom living on welfare before she wrote the “Harry Potter” series. 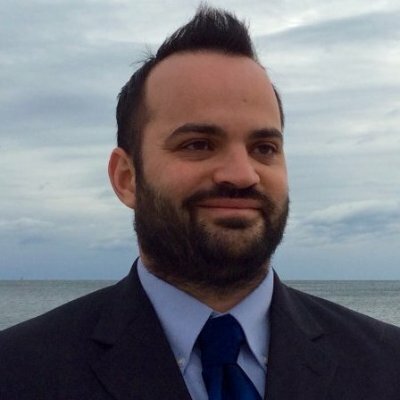 To 29-year-old Jeff Scardino, people like the ones mentioned above didn’t succeed despite their failures, but because of them. And he’s discovering that recruiters (sometimes) feel the same way. Scardino ran an experiment where he submitted a regular resume and a “relevant” resume to 10 different jobs in the advertising/journalism space under two different names. Of the 10 jobs Scardino sent his regular resume to, only one responded, but this didn’t lead to an interview. Of the ten he sent the “relevant” resume to, eight companies responded, and five granted him an interview. As you can see, it’s a list of his failures, both professional and personal. For example, he put “failed to do anything worthwhile in my first year here” under his current job and “dated a free-spirited girl who ruined my junior year” in his education section. A bad references section, composed of people who he worked with and have bad things to say about him. 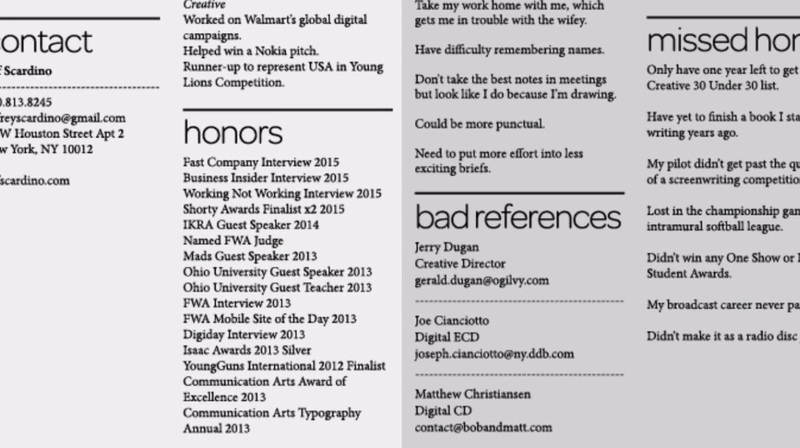 It’s worth noting that Scardino did include a cover letter with both resumes. The regular resume had a traditional cover letter, whereas the cover letter for the relevant resume talked about how his resume included all his failures. As mentioned, Scardino got five interviews from the 10 jobs he applied for. He also got eight responses, most of which were positive. First off, I applaud you. I have never received a résumé like yours. I see hundreds of résumés a year so it was refreshing to see someone take a different approach. I've been passing it around the office, and everyone is dying to meet you. When I read your cover letter, I thought it was a joke. But after looking at your resume I’m really impressed with your honesty. I’ve never seen anything like this. 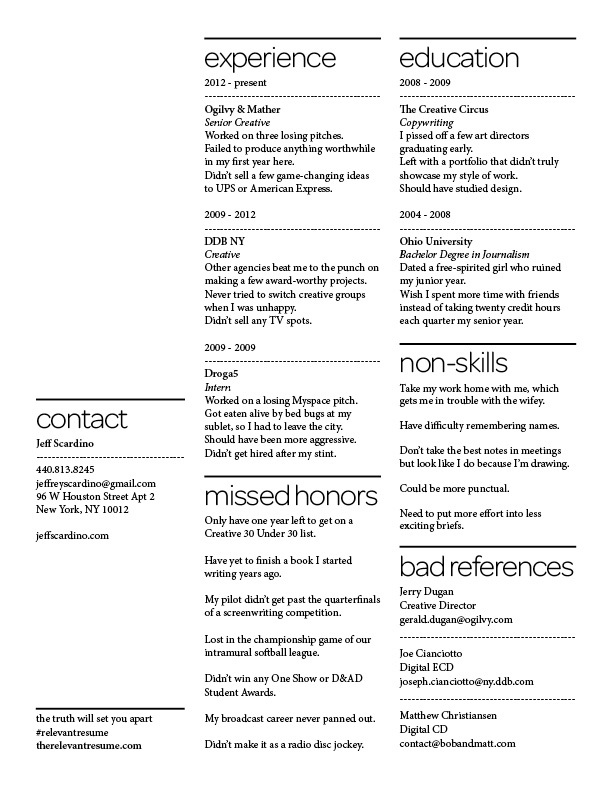 I wish more people would send me a resume like this. Okay, so what does this all mean to recruiters? Well, Scardino’s resume obviously was over-the-top, particularly when it came to listing all of his personal failures. It was a stunt that proved successful largely because he was sending it out to openings for creative positions. That said, it’s hard to say he doesn’t have a point. While searching for a job, most people are reluctant to ever say anything they’ve ever failed at, because they believe it will immediately disqualify them from the job. And yet, everyone has failed many times over at every job they’ve ever had, and any new hire will fail multiple times at whatever job you hire them for. Any good screening process should include time spent on candidates’ failures, and what they’ve learned from them.